Best known for: Her work in helping the sick and wounded – particularly during the Crimean War. Young Mary was born in Kingston on the Caribbean island of Jamaica, some time in 1805. No one knows the exact date – she kept that a secret! Her father was a Scottish soldier stationed on the island – at that time, Jamaica was part of the British Empire – and her mother was a Jamaican nurse and healer. She had a sister called Louisa and a brother called Edward. We don’t know if Mary went to school, but we do know that from a very young age she had an interest in medicine and nursing. When she was just 12, she was helping her mother run a boarding house in Kingston, where many of the guests were sick or injured soldiers. Her mother taught her a lot about traditional Jamaican treatments and remedies, and she also learned a lot from army doctors staying at the boarding house. Mary the nurse and intrepid traveller! If there was one thing Mary loved, it was travel! At that time, it wasn’t common for women to travel a lot…but Mary sure did. In fact, when she was a teenager, she took two trips to England, where she spent three years in total. She was quite the business woman, too, and later journeyed to the islands of Bahamas, Haiti and Cuba, where she bought spices, pickles and jams to sell back in Jamaica. In 1836, Mary married an English man called Edwin Seacole in her hometown of Kingston. 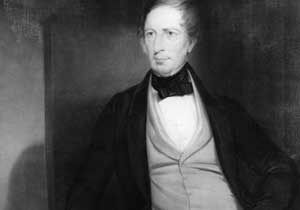 But sadly, Edwin was a very sick man and and died just a few years later, in 1844. Following her husband’s death, Mary focussed on caring for sick people. In 1850, her medical skills were very much needed, when many people in Kingston fell victim to a deadly disease called cholera. In 1853, Mary went to the city of Cruces in Panama, where her brother ran a hotel and store. There, Mary opened a store selling food and goods to gold miners, and continued her work in medicine – treating people suffering from cholera and tropical diseases such a yellow fever. Mary returned to Kingston in 1853, but she didn’t stay long. On hearing news of British soldiers going off to Russia to fight in the bloody battles of the Crimean War, she wanted to help. And so…off she went to the the War Office in London to requesting to join Florence Nightingale and her team of nurses treating wounded and sick soldiers in the Crimea! Sadly, Mary was turned down, along with several other nurses. But was that enough to stop the Mary? No way! Together with her friend Thomas Day, in 1866 she set off to the Crimea in a ship stocked with medical supplies. She arrived to a terrible state. Many of the soldiers were cold, dirty and hungry, and those that were sick and wounded weren’t being cared for. Mary decided something had to be done and so, with her loyal friend Thomas, she opened a “British Hotel” near to the battlefields. To be clear, this wasn’t the kind of ‘hotel’ you’d expect to stay in on your holidays, gang – it was basically a hut made of metal sheets, where soldiers could rest and buy hot food, drinks and equipment. Mary used the money spent there to help treat and care for sick and wounded soldiers. A lot of nurses did invaluable work looking after the soldiers in the Crimean War, but Mary went a step further, and did something incredibly brave – she rode on horseback into the battlefields, even when under fire, to nurse wounded men from both sides of the war. Mary so was caring, in fact, she became known amongst the soldiers as “Mother Seacole”. What did Mary do after the war? After the Crimean War ended in, Mary returned to London with very little money and in poor health. But her hard work didn’t go unrecognised – many of the soldiers wrote to the newspapers about all she had done for them, and 80,000 people attended a charity gala in 1857 to raise money for her. She also received a number of medals for her bravery from governments in different countries. In the last 20 years of her life, Mary led a quiet life, spending her time between London and Jamaica – where she went to escape cold winters. She died in 1881 in Kensal Green, London. Why do we remember Mary Seacole? Most of what we know about Mary Seacole comes from a book she published in 1857 about her life. She called it The Wonderful Adventures of Mrs. Seacole in Many Lands – and it proved a popular read! But following her death, her name was almost completely forgotten for around 100 years. It wasn’t until the 1970s, in fact, that people started to read about the amazing Mary Seacole and wanted to know more about her. As a mixed-race woman living in the 19th century, what Mary Seacole achieved in her lifetime was truly remarkable. She broke social rules and prejudices to travel the world, run businesses and help those in need – even in the most dangerous places. Best known for her work as a nurse in the Crimean War, Mary Seacole will forever be remembered as an incredible woman and inspiring role model. What do you think of our Mary Seattle facts? Leave a comment below and let us know! What an adventurous women glad I read this . We need more people like this starts with teaching in schools . In fact, Florence Nightingale turned her down because she was black!! 1 thing that is not nice about Florence is that she was racist!!! Mary Seacole is a wonder! 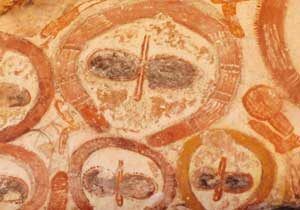 10 Facts About Indigenous Aboriginal Art And Culture! 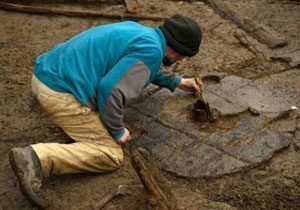 Largest ever Bronze Age wheel unearthed in Britain! 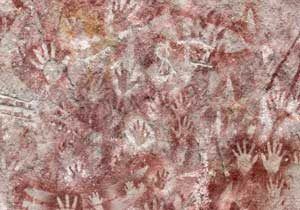 Explore Aboriginal Australian Culture, one of the oldest in the world!